Bloodborne is the latest creation out of From Software. It is looking horrifyingly dark, grotesque and disturbing. But it’s not just the bizarre level designs or insane storyline that will lead to your demise – of course there are monsters and mini-bosses that will make that “You Died” screen appear often. Some are shown off in a new video. Here is the IGN first video showing off the new and deadly creatures. While we’ve seen some of them during the demo, there are one or two completely new… faces. For those who can’t YouTube, don’t worry – here’s a link for you. What is that thing with the killer fish hook? Or the enormous version of the “normal” killer guys? Either way, they look mighty dangerous and prone to kill a player early on. This is going to be quite fun to explore; death is just around every corner. I love how unique each monster looks. 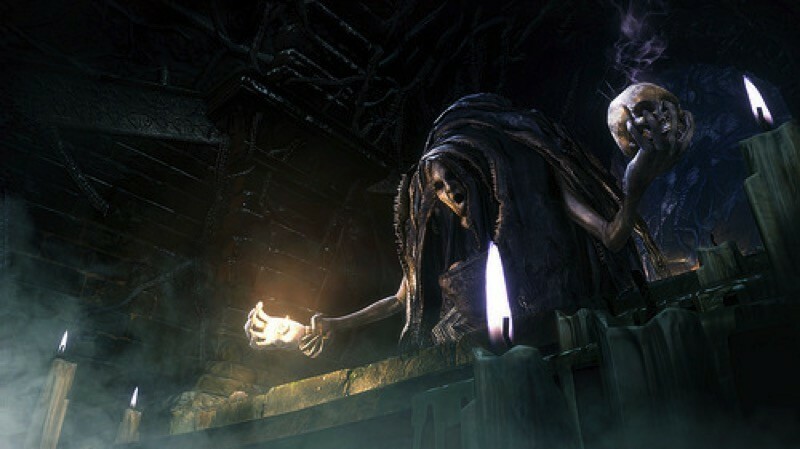 From Software has always been excellent with creating compelling and disturbing enemies – whatever you think about their game design or difficulty, at least I think we can all agree that their bosses and monsters are varied and bizarre. It’s fun to fight something that’s strangely transfixing. Besides, it’s way more interesting than the usual fare in games. Even killer rats (an RPG standard) are distinct in Bloodborne. It’s not too long until the PS4’s more compelling exclusive releases. I don’t know if I can handle playing it, but it might be fun to try. Are you going to jump in, or are you waiting for reviews before purchasing any titles this year?